Just some 100 kilometres away from the crowded city of Nassau with its highrise hotels there is nearly unexplored land with some of the most mysterious karst formations in the world – black holes. The best known and the most impressive among them is the Black Hole of Andros (The Black Hole of South Andros). Phenomenon of black holes is recent discovery and thus far they are known only in Andros and Grand Bahama islands in Bahamas. Only in 1985 from the airplanes in the South Andros Island there were noticed round holes filled with abnormally black water. Initially these were considered to be meteorite craters. Although this region is close to densely populated and affluent areas with numerous scientists and caving enthusiasts, only in late June 1999 there took place the first scientific expedition to the largest and most impressive of these holes – South Andros Black Hole. Only then it was discovered that these round, black lakes are unique, unprecedented natural formations. The Bahamas are the visible, smaller part of giant "heap" of carbonate rock. For some 200 million years, since Jurassic times here have accrued limestone, aragonite, dolomite and gypsum layers with total thickness exceeding 6 kilometres. Interaction between the porous carbonate rocks and seawater has created countless, extensive cave systems, most of them still to be discovered and explored. More common here are blue holes – beautiful, diverse, deep caves filled with seawater and lined with bright white carbonate sand. Light refraction here creates crystal clear, beautiful blue color. Today black holes are located in shallow, muddy flats. Layer of carbonate mud can be several metres deep, making these places unavailable by feet or boat. Low lying mud flats have numerous inundated areas with shallow seawater and rainwater poodles, bays and lakes. Most likely similar conditions have lasted here for long time. Sea level though has changed often – local mud flats over the last 1.8 million years some 30 times have experienced ascent and descent of sea. At some locations the aggressive sea water started to dissolve the carbonate rock at the base of poodles, gradually forming round, rather deep holes. Thus, contrary to many sinkholes around the world, black holes have not formed from deeper layers to top, but in opposite direction – from the surface downwards. Most likely they are not linked to the sea and they do not have lateral passages. In total there are more than 30 black holes in Bahamas. All of them except for one, are located on the largest island – Andros, especially in the south-western and central part. One black hole is found in Grand Bahama. Location of most black holes is not popularised – these unique monuments of nature easily could be endangered by random visitors, especially – by diving. In late June 1999 the most impressive black hole – Black Hole of South Andros – was reached by a team of scientists and movie makers. Group was led by the experienced cave diver, lawyer and geomicrobiologist Stephanie Schwabe. Most likely this was the first time when humans reached this weird lake. Low lying banks of Black Hole contained black, uninviting water. There were made several tests along the whole depth of lake, measuring several values. Turned out that the lake is layered with oxygen-depleted layer below. Nonetheless the first dive brought great surprise. The dark waters turned out to be crystal clear and at the depth of more than 17 meters there was visible something like a weird, muddy bottom. As Stephie Schwabe lowered her hand in this mud, she jerked it back in surprise – it was hot! Disturbed surface of this fake bottom undulated like a jelly. Schwabe just dived into this weird jelly (would you do this?). The hot, dark pink substance suddenly ended, and diver reached the next layer – cool, crystal clear water in total, absolute darkness. Further descent continued into complete darkness until reaching the bottom. Return back to the surface, of course, required repeated passage through the unpleasant, hot jelly. When divers returned back to the daylight, they gazed in surprise at all the metal parts of their equipment – everything, even a silver bracelet, was turned black. The Black Hole of South Andros is nearly perfectly round lake with a diameter 270 – 310 m.
Thus far its measured maximum depth is 47 metres. In the southern part the lake the full depth is reached suddenly and then, northwards the bottom gradually rises upwards. Banks of the lake are low. Lake has three distinct layers of water. The upper layer reaches to the depth of 17.7 m. It is fairly common waterbody – it consists of clear, lucid brackish water with 12 ‰ salinity. Water is very translucent and even at the depth of 17.7 m there is enough light. Temperature of the water is common for these areas – 26°C. In this layer live some fish and zooplankton. Walls of lake in this layer are covered with up to 0.5 m thick cover of algae. At the depth of 17.7 – 19 metres there is located the most exotic feature of black holes – bacterial layer. 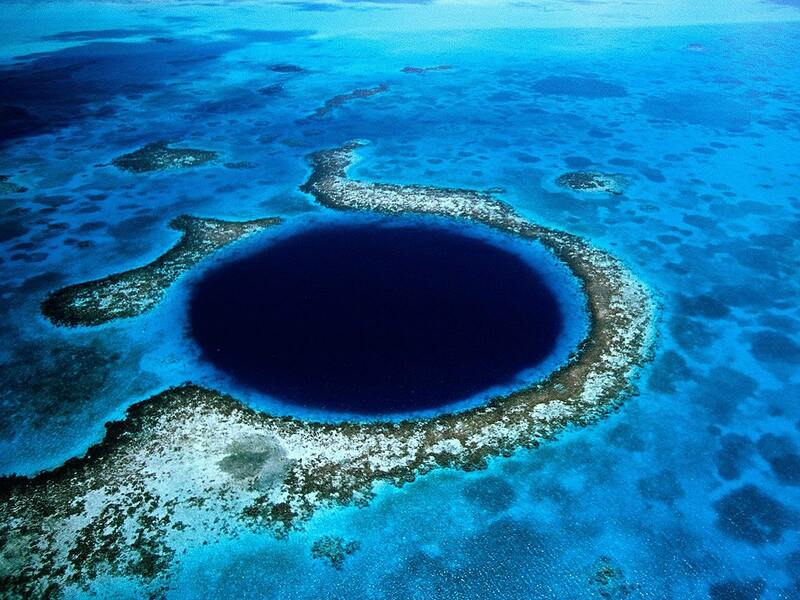 Similar layers have been found also in other black holes of Bahamas, including nearby Jacuzzi Black Hole. This approximately 1 m thick layer contains huge amount of phototrophic purple sulphur bacteria. These organisms basically need sulphur and light for their existence. Elsewhere in the world there also is met purple sulphur bacteria and during the bloom their number might become significant too. But these bacteria in general are located at shallower depth: 5 – 10 m. Perhaps in Andros the water is very translucent and bacteria have the best circumstances at greater depth here. Thus far in Andros Black Hole have been found several species of bacteria, belonging to Chromatiaceae family, Thiocapsa and Allochromatium genera. One endemic species – Allocromatium palmerii – has been described thus far. Estimates show that Black Hole of Andros contains some 5.6 tons of dry weight of bacteria. Density of bacteria in layer is more than 10 million living cells in millilitre. Water in bacterial layer is acidic and contains more sulphides – while at the surface adicity is 8.6 pH, here it is 6.5 pH. Layer of microorganisms has left a trace – etch in the walls of lake. This acidity also explains why the metal details turn here black. The most unusual feature though is the rise of temperature. 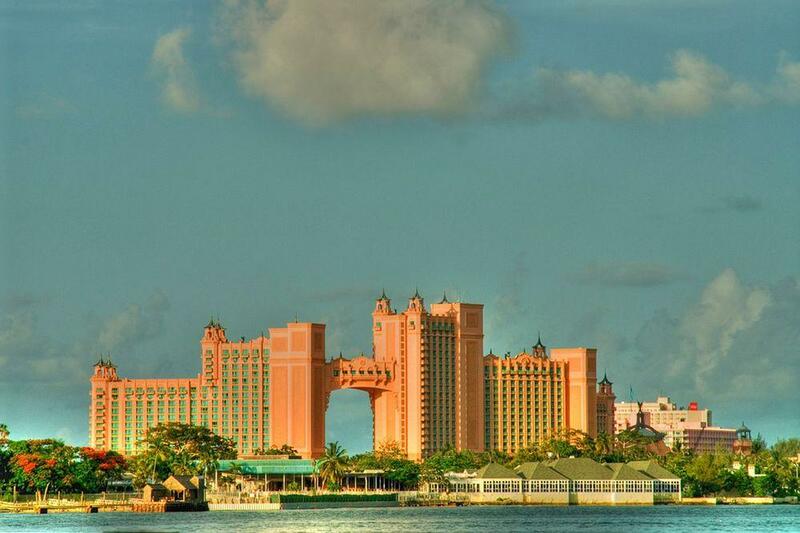 In Bahamas there is not met any volcanic heat and no geothermal waters. The only explanation is that the heat has been created by microorganisms themselves. Temperature of water here sharply increases from 29 °C to 36°C, and might reach even 40°C. At the 20 m depth it returns back to 29 °C. Most likely this is the only known case in the world where microorganisms in nature significantly increase the temperature of water. This heated water in turn provides competitive advantage over other species which are not thermoresistant. Heat is created by chemical reactions in cells where the excess light energy is turned into heat. Further increase of temperature is not expected – amount of microorganisms here seems to be limited by lack of sulphur. Another factor helping to sustain this heated bacterial layer is extremely stable conditions in the lake. It is well possible that Stephi Schwabe was the first nuisance in this eternal bacterial stillness. We can be sure that many divers crisscrossing this layer would rather soon disrupt the balance. Thanks to bacteria black holes are black. Microbial layer virtually "eats up" the light and no light is reflected from this layer. Below the bacterial layer water again becomes cooler (26°C) and lucid. But there is large difference from the surface water. All the light is efficiently absorbed by bacterial layer and there is total darkness. Water here does not contain any oxygen either but it is saline – with 35 ‰ salinity. Floor of black hole is covered with thick layer of purple – orange microbial mats. 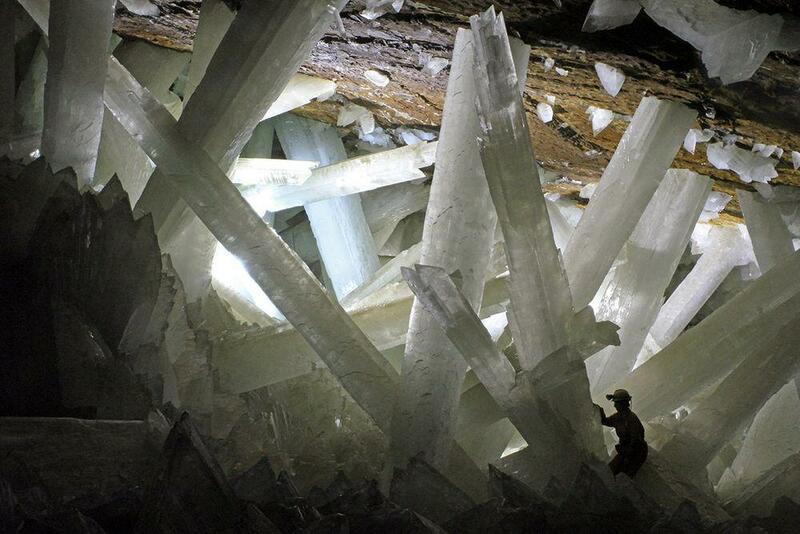 Bottom layer is little explored but there are specialists who consider that it in many respects resembles the ancient oceans of the Earth some 3.5 billion years ago, when there was nearly no oxygen in atmosphere and water. Diving in the Black Hole of South Andros is not allowed, except for specific scientific purposes. The same refers also to other black holes in Bahamas. Here should be mentioned that such diving would be exceptionally dangerous – bacterial layer is very toxic, hot and it easily damages the diving equipment. Below it there is complete darkness and inexperienced diver can easily get lost here. Depth here is large enough to be dangerous. But even coming here is very complex – black holes can be accessed only by helicopter. Thus – enjoy reading about this weird place, you have almost no chances to see this bacterial layer. And, if frankly, it doesn’t need your presence. Stephanie Schwabe, Rodney A. Herbert. Black Holes of Bahamas: what they are and why they are black. Science Direct. Stephanie Schwabe, The Floor of Fire, Divernet. Interested visitor of the Bahamas will be rewarded with many unique monuments of nature and also several exciting cultural attractions. Islands are rich with legends including stories about unusual creatures looming in the wild forest and swamps. The twelve stories that comprise the Kantaberry Tales are about the people and events that have helped to identify this part of the Bahamas known as North Eleuthera as the most unique and diverse place within the country. From tales of shipwrecks and pirates, of child prodigies and teenage pregnancies, of Haitian voodoo and mail order brides, there’s a story here that will make you think, laugh or cry, but a story that you will remember and want to share with a friend.